On the heels of other successful Brickell condominiums going under construction, the Related Group recently announced its plan for a new hotel/condominium building in Brickell. The SLS Hotel and Residences Brickell is officially on the books and tentatively slated to start construction late this year. The Daily Business News said in a recent article that “Brickell is experiencing a demand for hotel rooms.” This new project is a new project that will answer those demands by designing a luxury boutique hotel with luxury condominiums. The Related Group and Philippe Starck are embarking on the SLS Hotel and Residence Brickell that will include a 52-story building with three restaurants – Katsuya, Bazaar by Jose Andres, and another restaurant by Michael Schwartz (Michael’s Genuine Kitchen) as well as a luxury boutique hotel occupying the 3rd through 9th floors; and 451 condominium residences from the 10th to the 51st floors (11 units per floor). The condominium residences will consist of one, two, and three-bedroom residences with square footage ranging from 717 square feet to just over 1,500 square feet. Arquitectonica, the architectural firm behind the likes of the Miami Museum of Art, the South Miami Cultural Arts Center and more, will design this spectacular building. The SLS Hotel and Residences Brickell’s address is at 1300 South Miami Avenue which his adjacent to Infinity in the heart of Miami’s fianancial district. Also close to Brickell Village and CitiCentre which is also under construction, the views from SLS Brickell showcase Biscayne Bay and the Miami skyline. Brickell real estate is situated in the hub of Miami action where residents have access to every part of the entire metro area including the Design District, Wynwood Arts District and the beaches. Residents at the SLS Hotel and Residences Brickell have access to all of the hotel amenities most of which plan to be on the 8th floor and include the hotel swimming pool along with access to the Hyde Lounge, Ciel Spa, state of the art fitness center, executive business center and grand ballroom. On top of that, amenities slated are a 3000-sqare-foot business center with private meeting rooms; a roof-top exclusive pool and lounge area exclusively for residents of the condominiums; floor to ceiling windows; top of the line appliances; valet and concierge services; and more. Since its announcement, the reception has been unbelievable! In fact, the number of allowed pre-reservations has been met and the developer has created a waiting list. At the time the applications go to contract, those on the waiting list will be given the opportunity to purchase a residence should a potential buyer opt out of the pre-reservation. If a potential buyer on the waiting list receive an opportunity to opt-in, at that point, the deposit must be made (10 percent of the sale price). As we said before, the Miami skyline is being transformed in response to the huge demand for Brickell real estate by real estate investors and buyers who are actively searching for property in this and most other parts of Miami. Over the next year, more and more luxury condominiums are slated to take shape throughout the area. 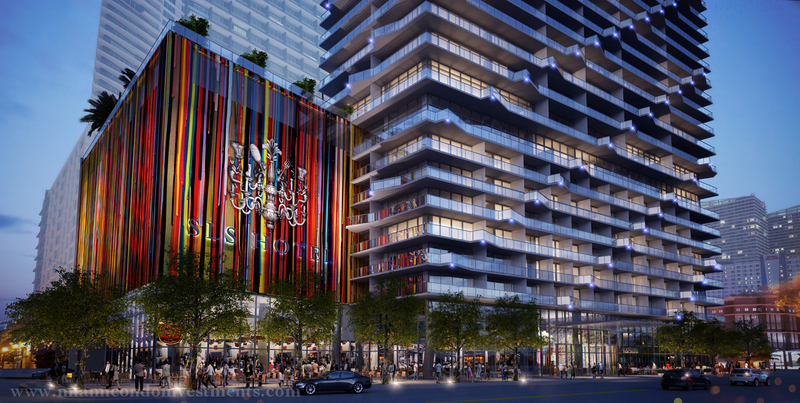 As SLS Hotel and Residences Brickell begins to come together, its demand will continue to grow. One thing is for sure, Miami real estate is in high demand and will continue to grow.